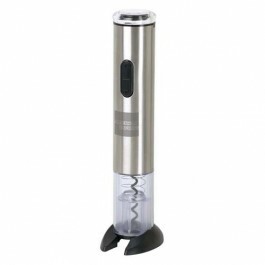 Battery operated (not included), non-stick coated helix screw prevents cork damage. Foil cutter doubles as a base when not in use. Bottom button cork release.